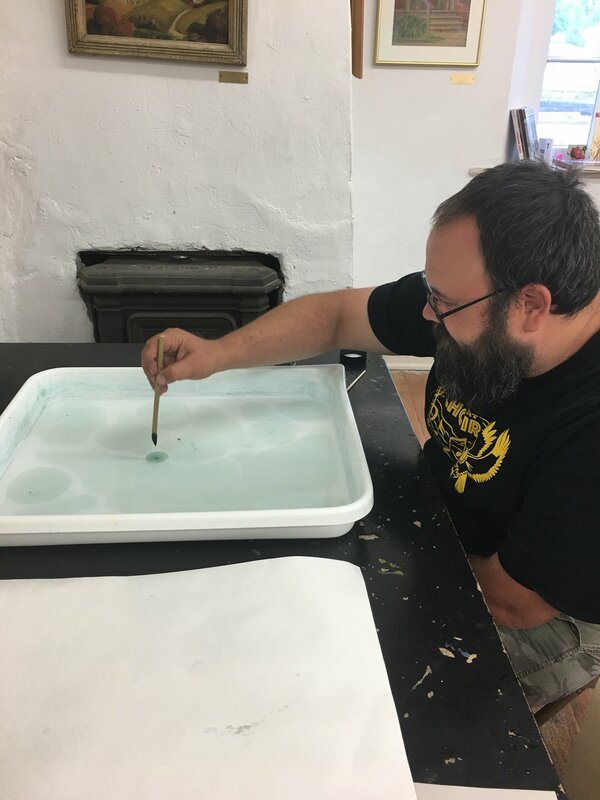 I am available to teach a wide variety of workshops including bookbinding, printing, papermaking, and pop-up movable structures. 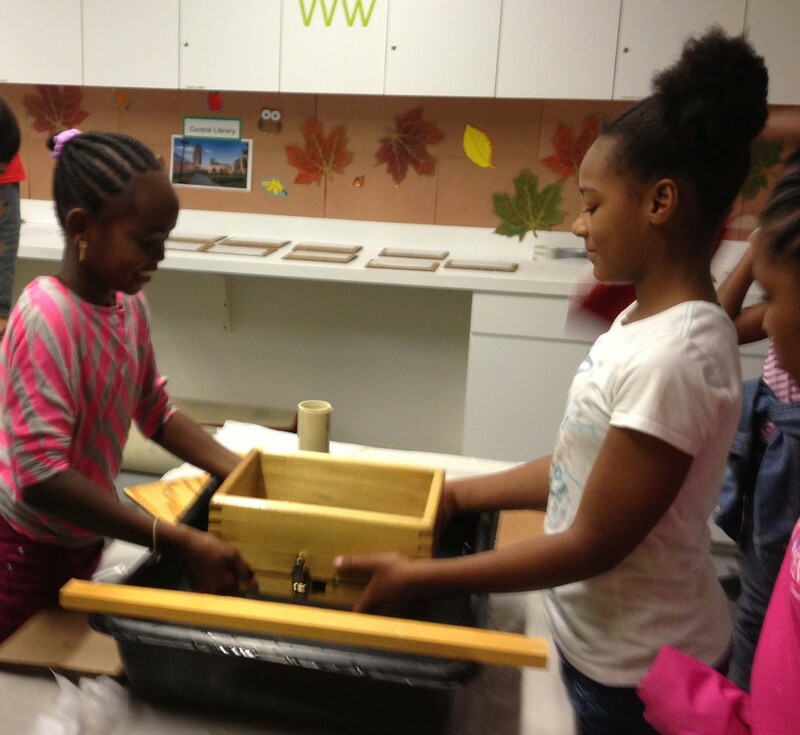 Workshops can be adjusted to suit different age groups and skill sets. 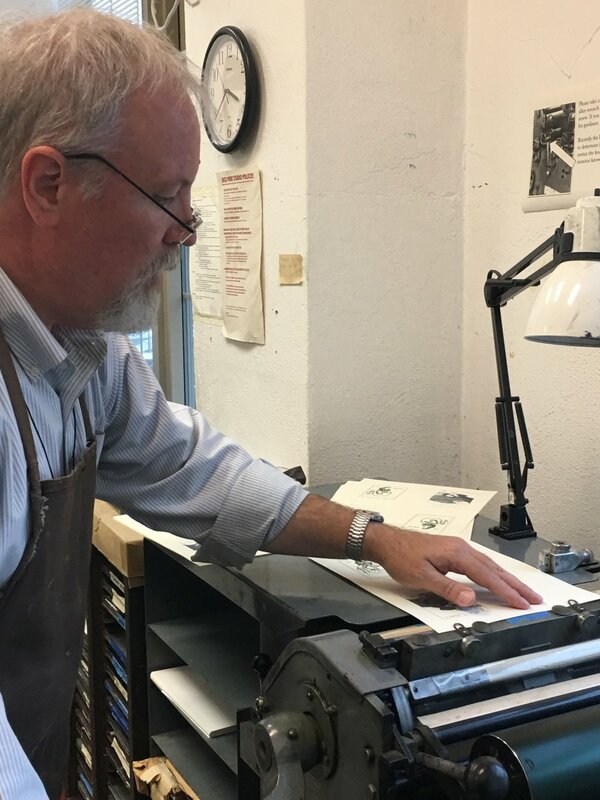 Participants printed commemorative keepsakes on Vandercook Proof Presses as part of the RBMS The Stories We Tell conference. Every summer students from across the country are selected to participate in the Iowa Young Writers' Studio. During their time they participate in Dunk Tank sessions of creativity. 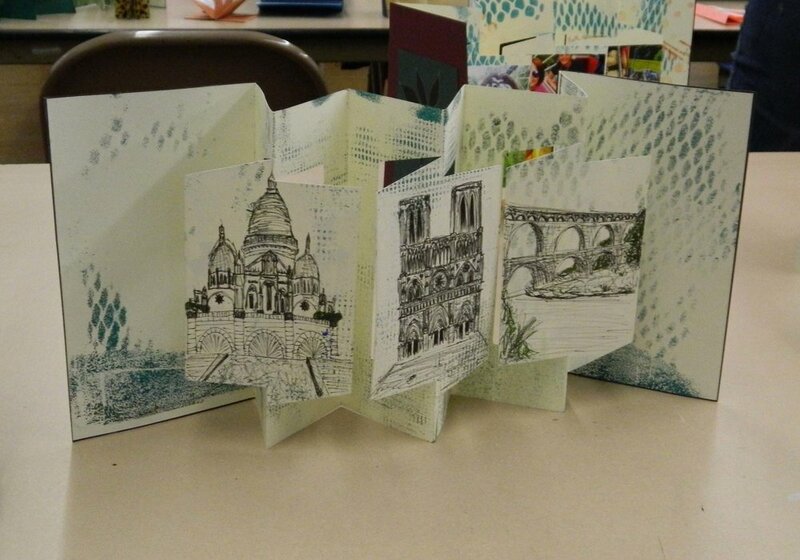 We spent time self-publishing creating artist's books and explored some paper engineering structures. Special thanks to the UI Center for the Book for allowing us to use your studios. 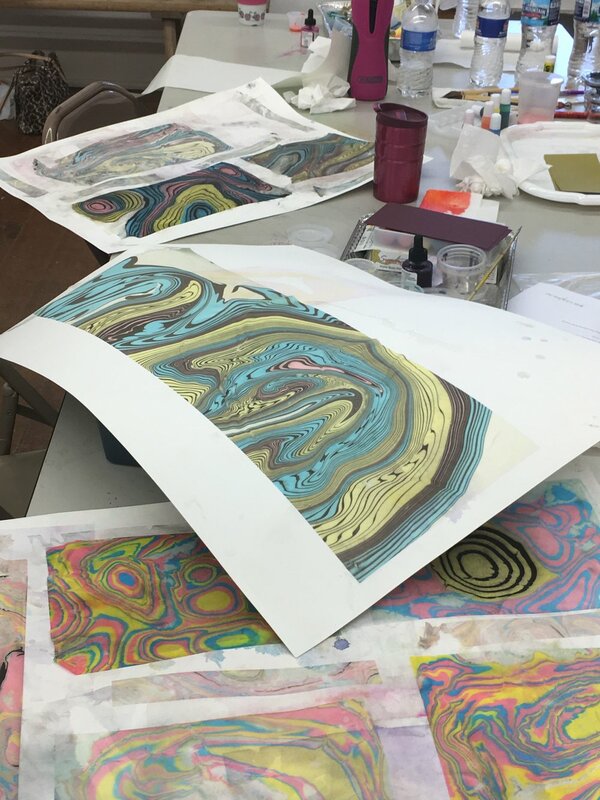 Participants explored the fundamentals of Suminagashi paper marbling, including materials selection, vat preparation, and image-making techniques. 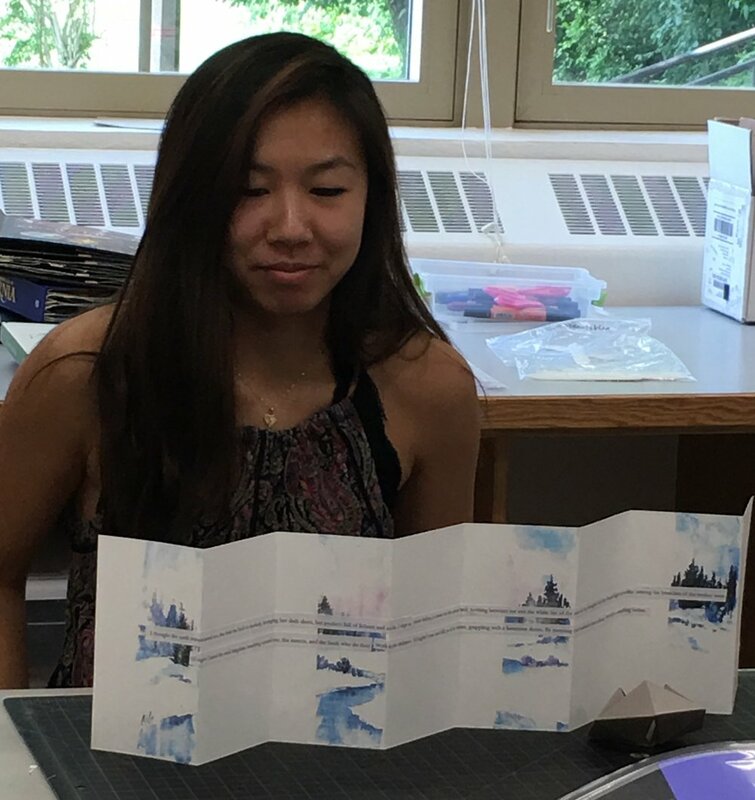 Prints were then incorporated into traditional Japanese book structures. 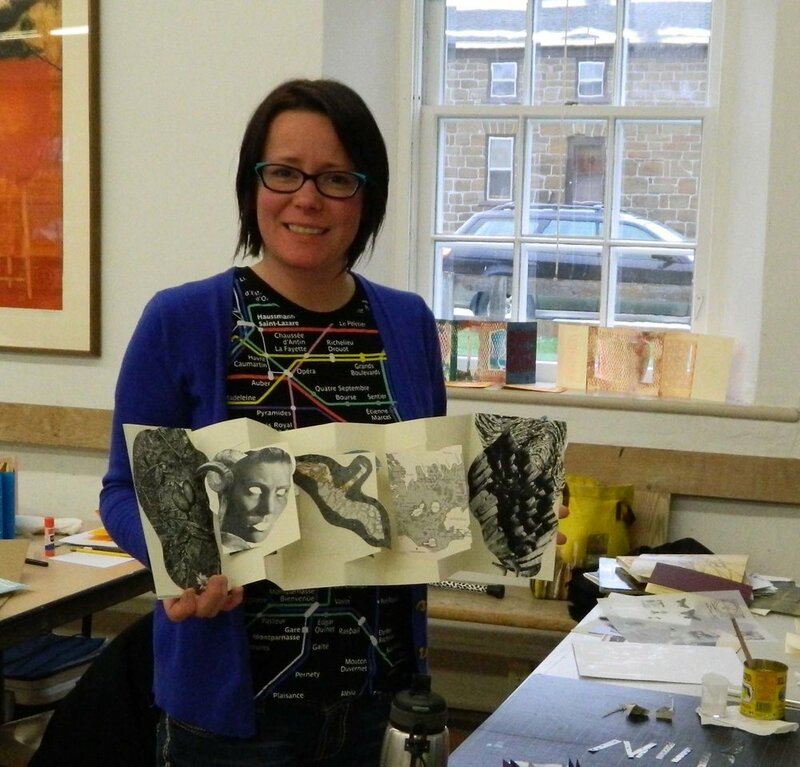 Special thanks to the talented Karen Carcia for co-teaching this amazing workshop! 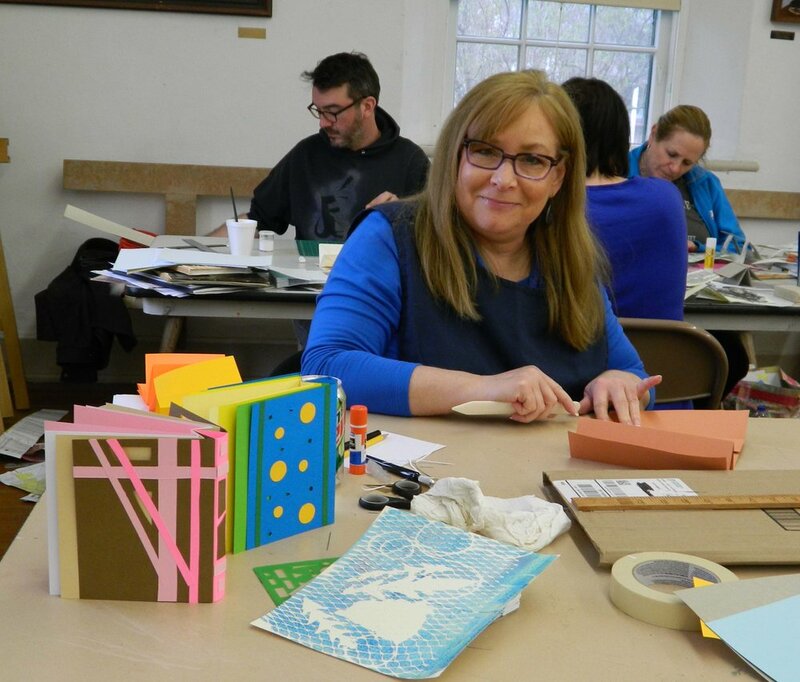 In this two-day workshop Iowa arts educators, created three of Hedi Kyle's masterful architectural paper engineered structures: the Blizzard Book, Spider Book, and Pivoting Panel. 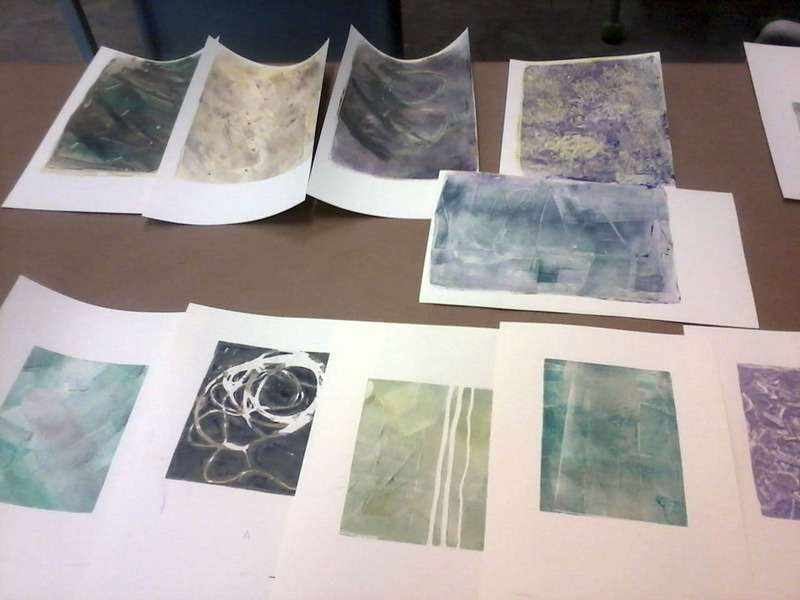 Participants began with gelatin printing to create a suite of prints housed in a small portfolio. Additional prints were created to use in one of a kind starbooks. 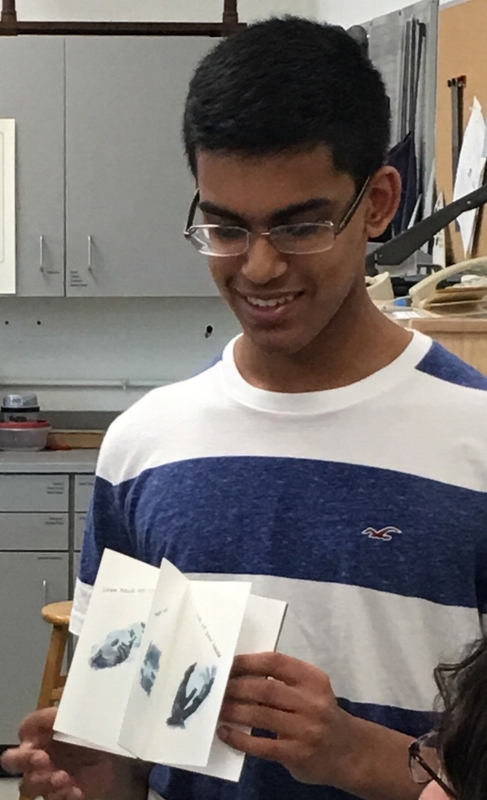 Part of the Wonder of Words Festival, fifth graders from select Des Moines Public schools experienced the entire process of producing a book. 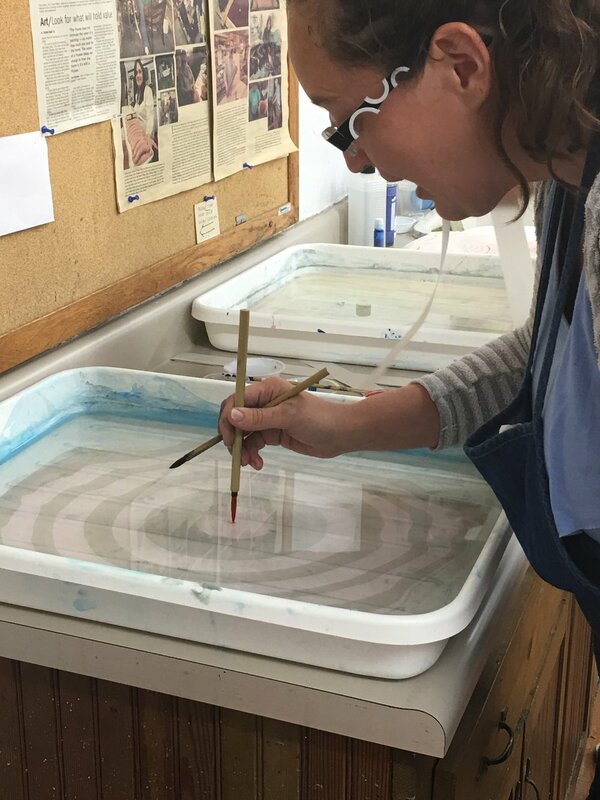 Participants had the opportunity to learn about the history of papermaking and form their own paper sheets with a deckle box. 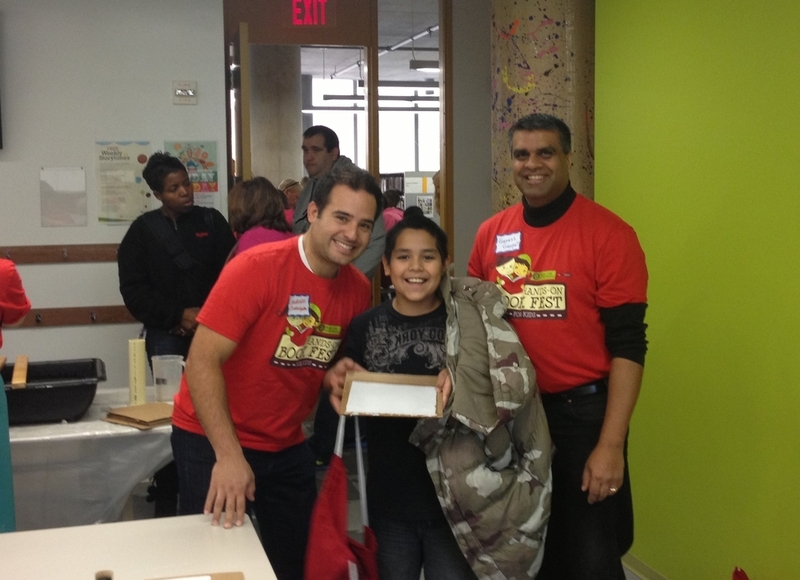 Special thanks to Anne Covell and the Rotary Club of Des Moines we were able to work with over 200 students that day! 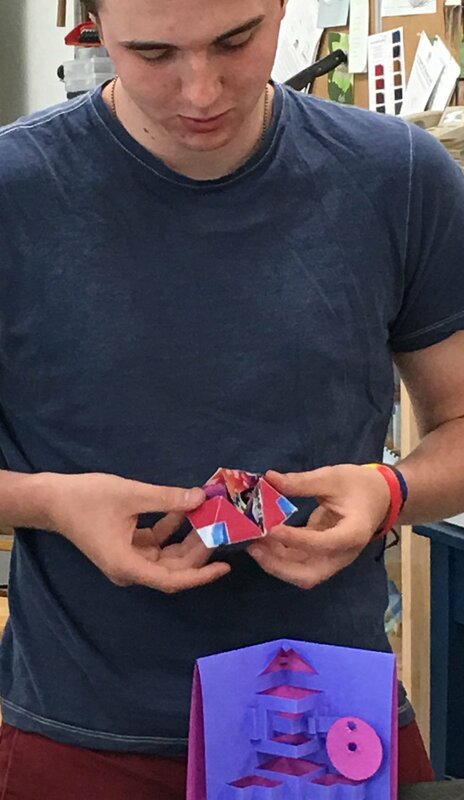 Three workshops in one day- whew! What a blast! 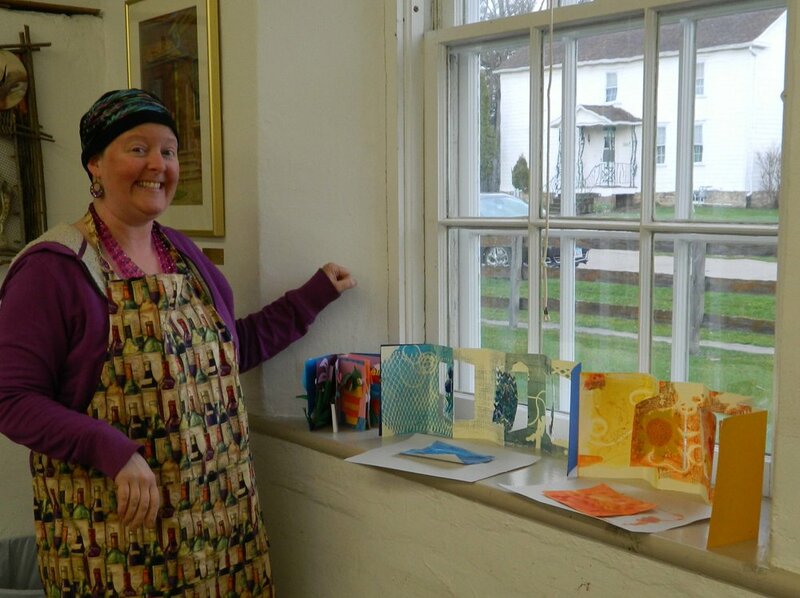 These talented participants gelatin printed, created star books, and learned how to make a longtitch binding journal. 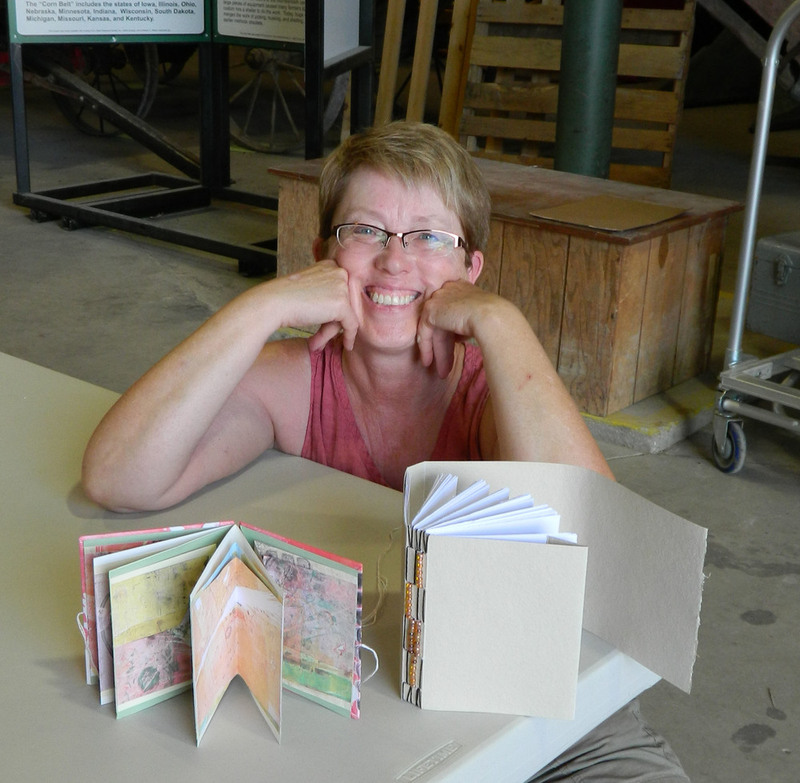 Special thanks to Kathleen Tandy, Brown City Press for co-conducting the workshops-good times!